Some people have expressed concern about using Cloud Computing. 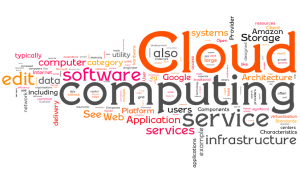 Cloud computing can mean different things and here we clarify what it means within AlfaRichi. It means that all the data and processing resources for managing the EPOS are accessible anywhere via a secure Internet Link. AlfaRichi rent their own DEDICATED servers through companies that specialize in providing high performance servers with very fast internet links. Banks, insurance companies and airlines use such companies and systems. These dedicated servers ONLY run AlfaRichi software and are fully managed by AlfaRichi technical team with our own system administrator, database administrator and software development team. All data is stored simultaneously on at least 3 different hard drives and there are regular backups throughout each day to separate dedicated servers. Between the servers and the internet there are dedicated firewalls that provide more security than that in a typical small or medium company. On the web there are comparisons between «Cloud Computing» and «Dedicated Servers». AlfaRichi give all the advantages of dedicated servers but accessible via internet and fully managed. In house servers are costly and need to be maintained. If they fail it is not fast to get a replacement and to reinstall everything again can take a long time and lead to extensive downtime. AlfaRichi dedicated servers have 24 hour on site hardware support and continuous hardware monitoring. Typically an AlfaRichi server has 2 redundant power supplies (one can fail and the server will continue to operate whilst the failed one is changed) and at least 6 redundant hard drives (up to 2 can fail and the system keeps running), and they run in secure temperature and humidity controlled rooms. In house server needs on site IT staff available or on call. AlfaRichi have IT staff available as needed for both routine maintenance and critical situation maintenance. A reliable backup and restore policy needs to be defined and implemented. This is rarely the case when the server is on customer site as there are always other priorities, and when a problem really occurs it can be found that there is no real backup. AlfaRichi have a reliable backup/restore policy in place AND test periodically that this procedure is working and can be done in a short time. At AlfaRichi, each customer data is kept strictly apart from other customers data and one customer can only access of course their data — in the same way that banks keep customer data on their servers but each customer can only see their own data.